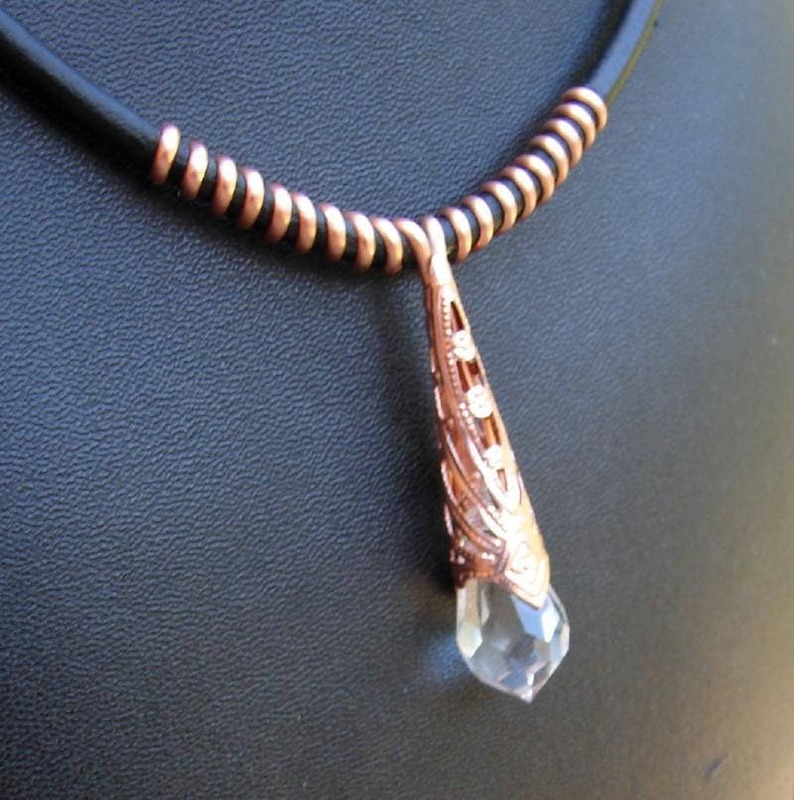 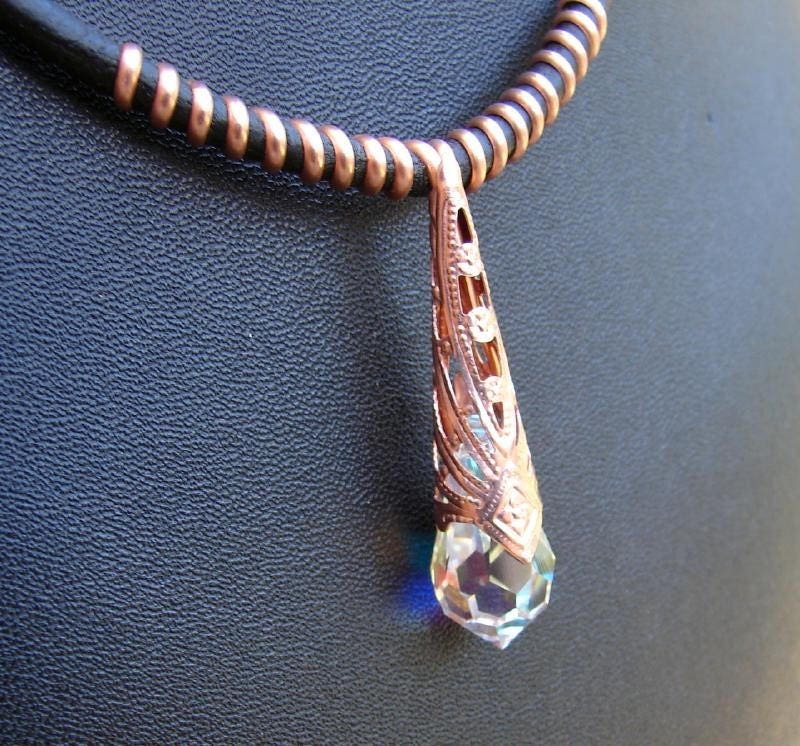 A 14 mm Swarovski Crystal raindrop pendant protrudes from a bright copper filigree cone, Cooper half round wire runs through the crystal and then wraps around a leather neck cord. 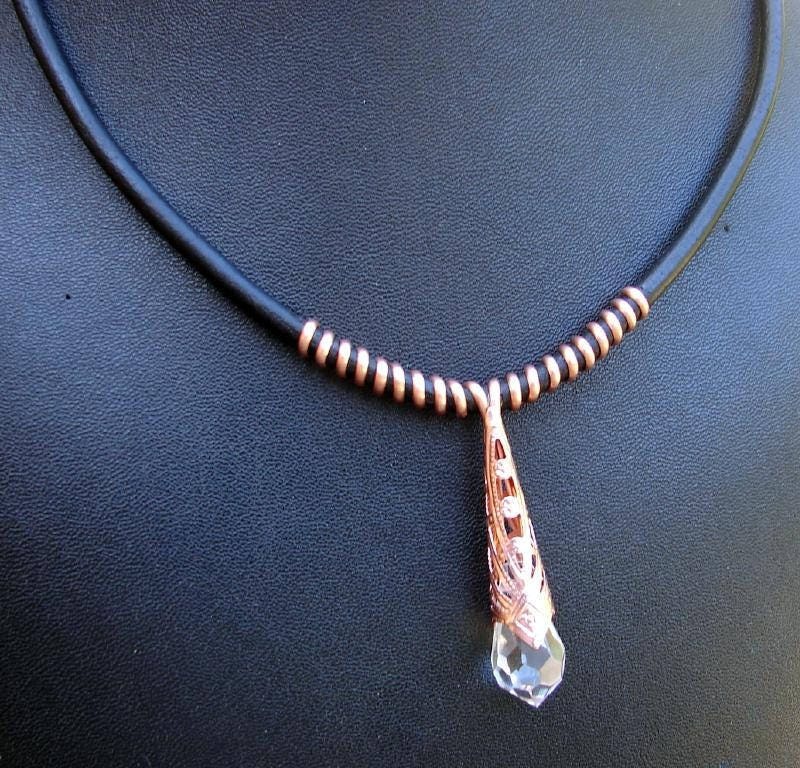 9 coils of copper wire on each side of the pendant. 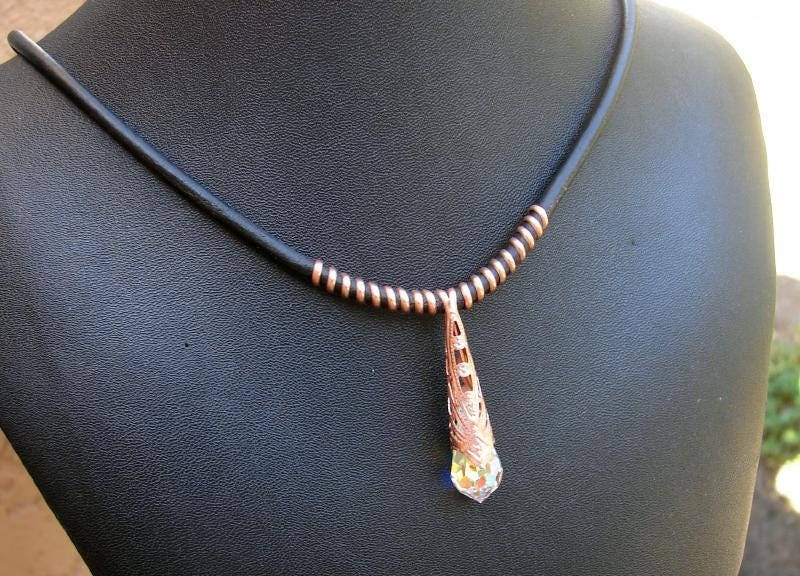 Each length is accented by a gold plated 2 inch adjuster chain and lobster style clasp.